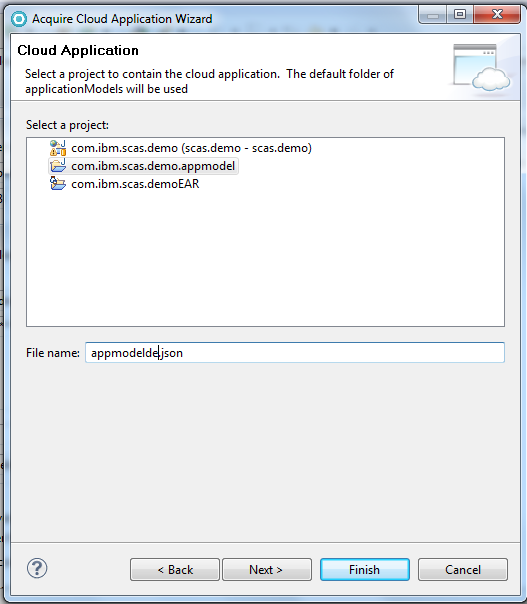 In this blog, I will explain how you can quickly start with DevOps on IBM SmartCloud Application Services. The IBM SmartCloud Application Services contains all software you need to run DevOps. You have access to the ‘Collaborative LifeCycle Management Services’ (CLMS) which will provide the Rational suite (RTC/RRC/RQM). 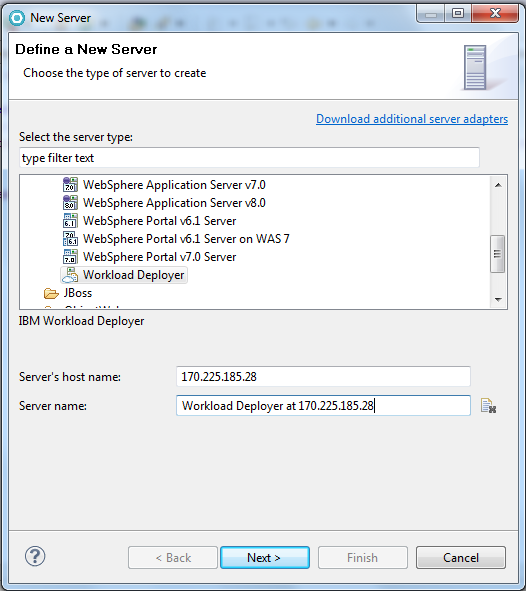 You can also enable the ‘Workload Service’ (WS) which will allows you to quickly deploy a pattern on the IBM SmartCloud Enterprise platform and to connect the dots, you can use the Rational Application Developer (RAD) image available in the IBM SmartCloud Enterprise public catalog. 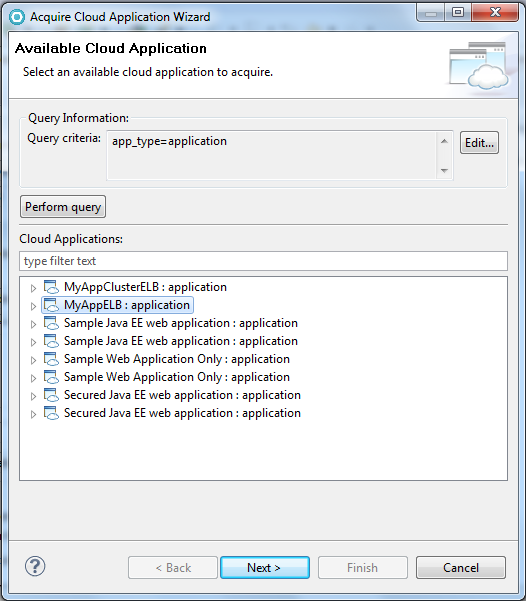 Please read article ‘How to enable IBM SmartCloud Application Services‘ to enable the IBM SmartCloud Application Services on IBM SmartCloud Enterprise. 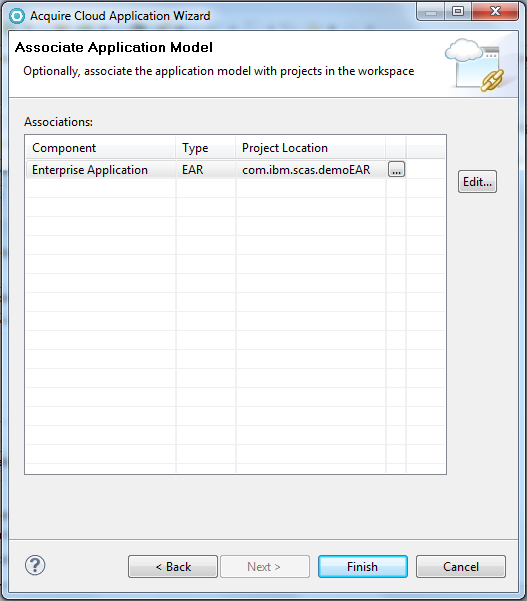 Now to enable the DevOps where a developer will be able to interact with the ‘Collaborative Lifecycle Management’ (CLMS) side and the ‘operation’ side, we will instantiate the Rational Application Developer image available (currently in Pre-Release) on IBM SmartCloud Enterprise. 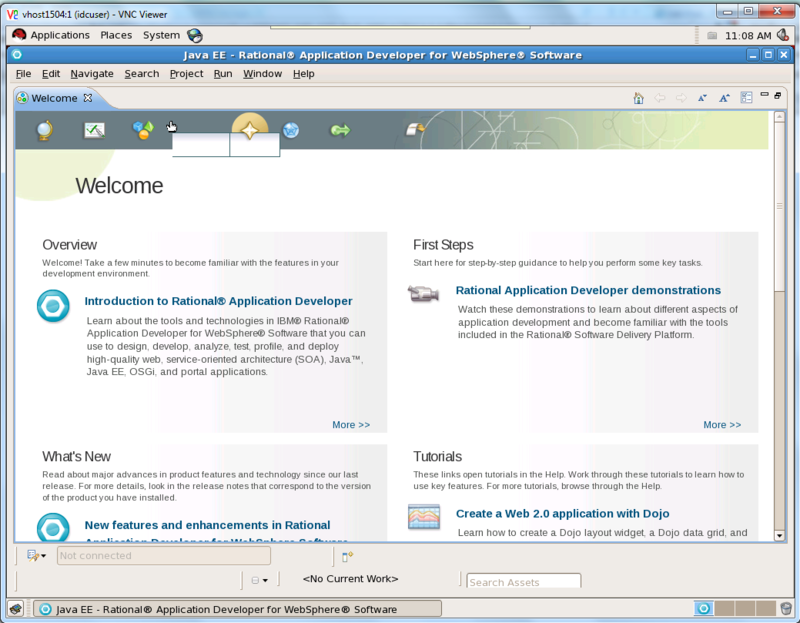 This image already contains the RTC client plugin and the IWD client plugin. 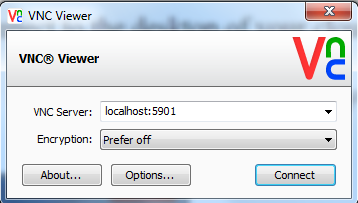 The RTC will allow the developer to interact with CLMS and the IWD client plugin will allow you to interact with the WS. A documentation is available from the SCE portal once your instance is provisioned in the Getting Started section (bottom of the page) but here the main steps. 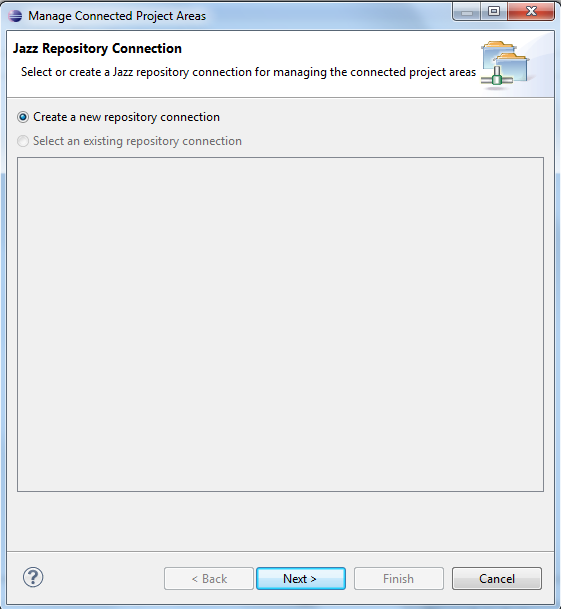 We will connect the RAD instance using VNC but we have first to open an ssh tunnel between your workstation and the RAD instance. Enter the password, you can find it in the ‘Getting Started’ documentation and don’t forget to change it as soon as possible (visit the FAQ of the documentation). 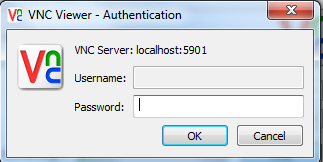 4) Enter the url in the form of https://<hostname>:9443/ccm/, the user and its password. Click ‘Next’. 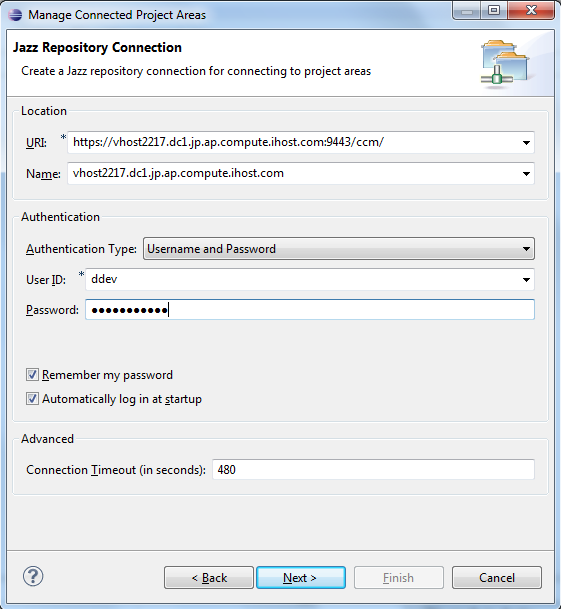 5) Enter a general password for the Eclipse secured repository if needed. 6) If requested, accept permanently all certificates. 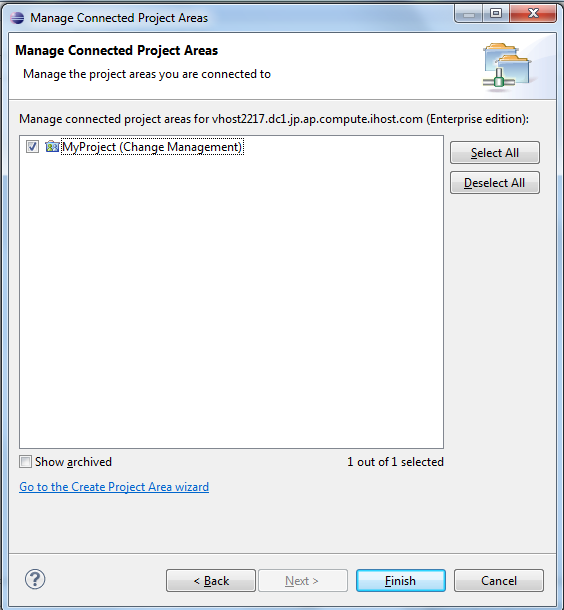 7) Select the project and click ‘Finish’. 2) Open the view ‘Servers’ from the J2EE perspective. 6) We have to define a cloud group as target for our deployment. So, click on ‘Select’ next to the ‘Cloud Group’ field and select your prefered cloud group. 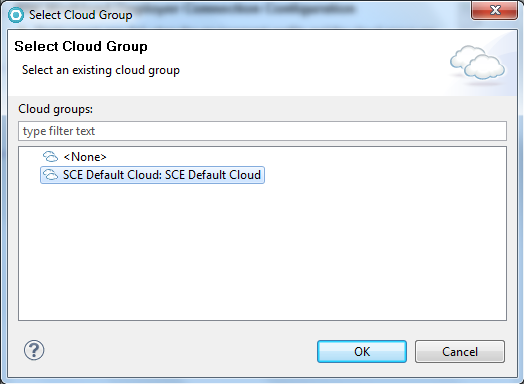 Here as I’m working with SCAS, it is the SCE cloud group. 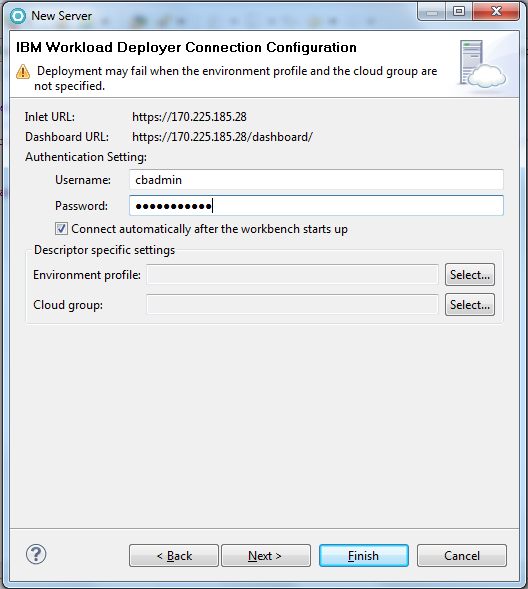 This entry was posted in IBM Cloud, IBM SmartCloud Application Services and tagged #ibmcloud, #SCACLMS, #SCAS, #smartcloudenterprise by ITDoVe. Bookmark the permalink.